I have just completed my first visit to Dubai. I was teaching lighting and Corporate and Industrial workshops for Gulf Photo Plus, GPP. I want to thank Mohamed and his entire staff at the GPP for making me feel so welcomed. It was an honor and a pleasure to work with 4 other fine instructors I now know as friends. Bobbi Lane, Robin Nichols, Chris Hurtt and David Nightingale. This guy David Nightingale knows what his is doing when it comes to post processing! He has a wonderful blog that I would recommend visiting. I managed to squeeze in a few days of site seeing. One of those days was just driving around town to see the sites. 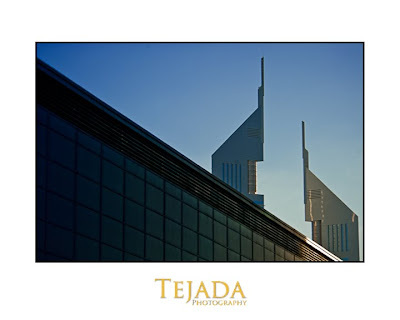 Dubai is an incredible city to visit, modern in every way. The architecture in this city is remarkable, each building you look at is fancier then previous one. Dubai is also home to the worlds tallest building, The Burj Dubai. Like any big city, traffic is a problem as well as finding parking spaces. On the day of my departure back to the states, my new friend Esam drove me around town to see some of the sites. 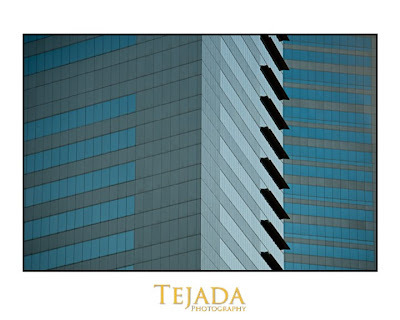 While Esam drove, navigating our way through traffic I sat poised in the passenger seat with camera in hand. With the congested roads in the city center and convenient round-a-bouts, I was able to crack off a few images I really like. 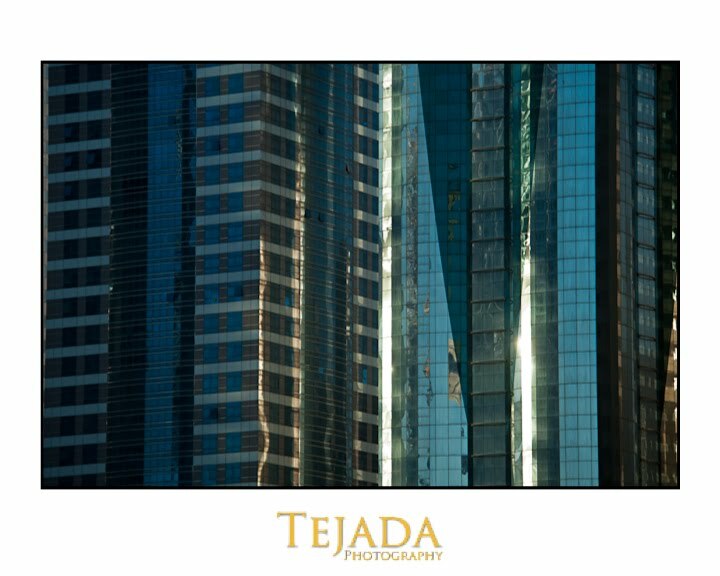 I shoot this photo of the Emirates Towers in downtown Dubia while stopped in traffic. 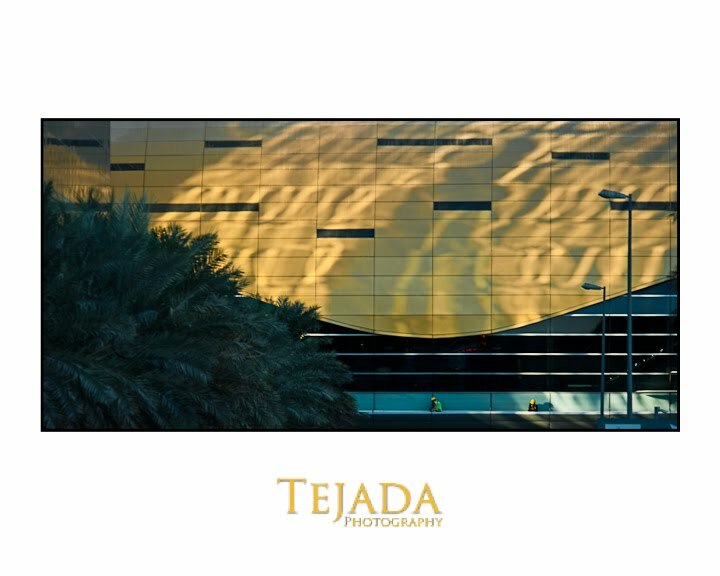 I used the leading edge of the convention center to frame the twin towers. 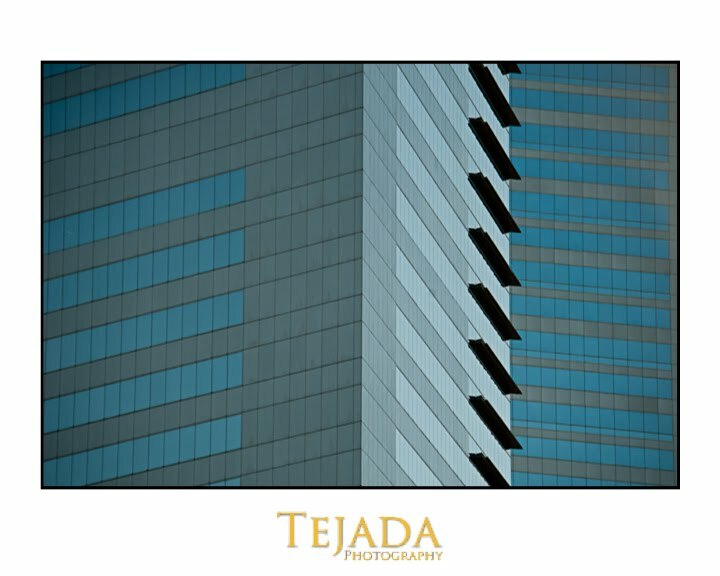 One of the towers is a hotel and the other is an office building. 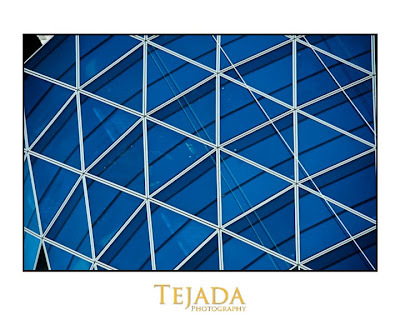 While driving around the financial center, and circling a round-a-bout I noticed light dancing on the surface or roof of a metro station near by. I had Esam drive around the round-a-bout several times until I was able to get the following shot. I took three revolutions to get something I was happy with. Stopping would have been easier, however, security is tight is this area and photography is generally not permitted without permits. 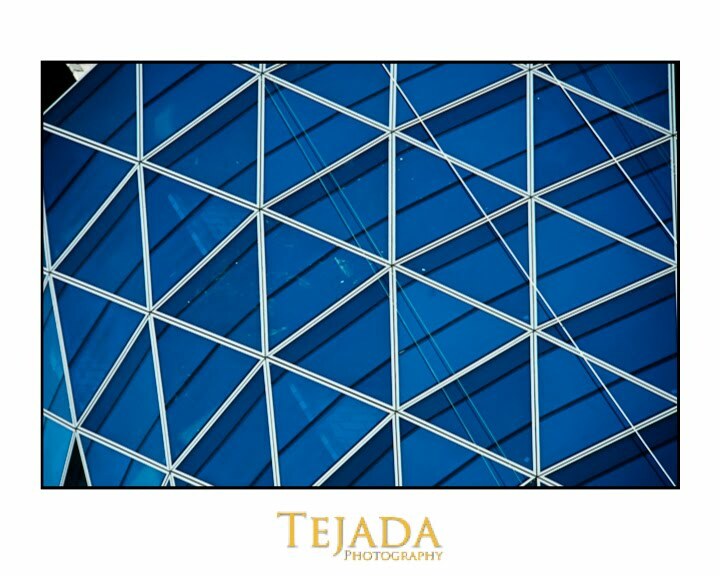 Architectural details are fun to shoot, I look for juxtaposition and strong design elements to frame. I look for reflections in glass and repeating patterns where possible. Of course I would prefer to shoot photos like these using a tripod, however, with a steady hand, fast shutter speeds and a talented driver you can get some pretty nice images. We did manage to stop the car and shoot around the Burj Dubai at sundown. I'll save those images for a later post. I also had the pleasure to photograph the Shaikh Zayed Bin Sultan Al Nahyan Mosque in Abu Dhabi. This Mosque is the third largest in the world, I'll also save those images for a later post. 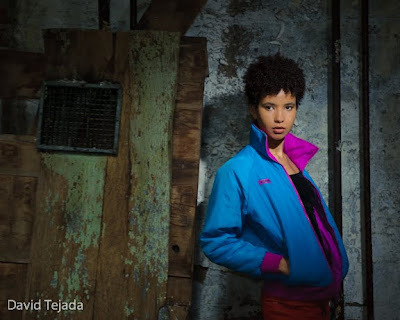 Several weeks ago I was in Philadelphia teaching a lighting workshop for The Nikonian's Organization. During the course of the workshop, I try my best to demonstrate as many types of lighting that I can squeeze during the time allowed. For the following photos in this post, I was demonstrating artificial sunlight. I set up two SB-800 outside on tall stands, both fitted with full cuts of CTO's as well as Radio Poppers. The strobes were well outside of line of site and quite far from my camera position. I think it's very important that you explore as many variation of your shot as possible. 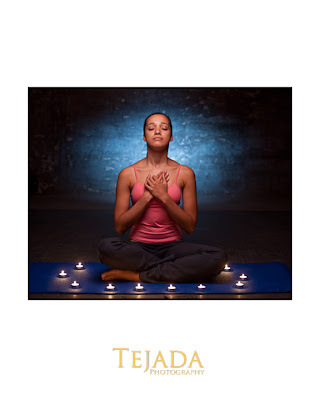 Your lights are set, why not try as many different poses and position of your subject as possible. In the short amount of time we had in this one location, I moved Diamandi to various locations within the set. Giving us and her multiple choices at the end of the shoot. Listen, you've taken the time to set up lights, explore and work your situation too it's fullest. 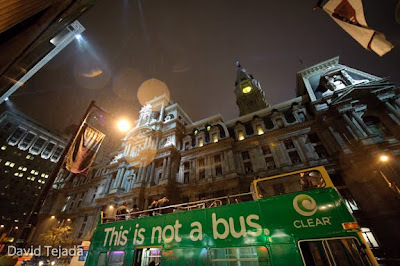 I've just completed my third Popular Photography/America PHOTO Mentor Series Trek held here in Philadelphia, PA. 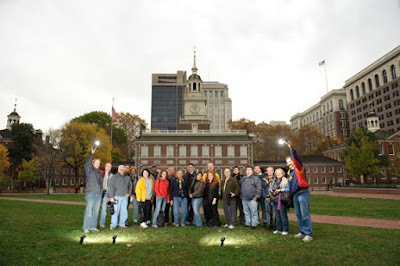 I had a wonderful time, we had a great group of trekker's learning how to light. This was the first Master Series on lighting offered by the Mentor Series treks. The workshop focused on learning how to use your flash, on and off your camera. We had two wonderful locations to photograph at, we shot at Eastern State Penitentiary and the wonder Longwood Gardens. 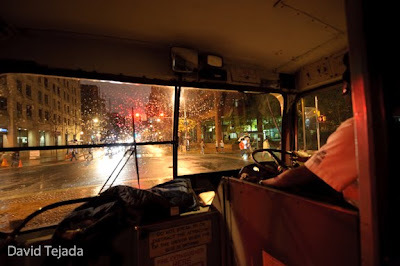 We also had a private Double Decker bus tour photographing the city with plenty of stops. What I failed to mention, was that the Double Decker bus had an open top. The evening we took the bus out, we had a little rain. Actually, a lot of rain. Undaunted by the rain, trekker's trekked on and created some great wonderful images. We also had time to do a nice walking tour in the old section of Philly. 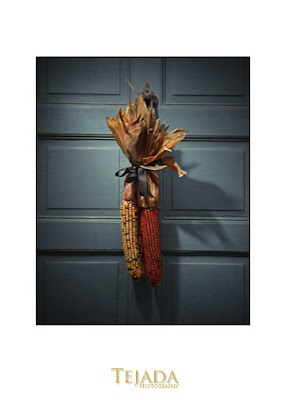 Walking down the oldest street in Philadelphia I spotted a door decoration I just had to light. Using a single SB-800, we shot this as a group. If you have not been on a Mentor Series Trek your missing out. They do a wonderful job in organizing the Treks and they have wonderful locations to boot! 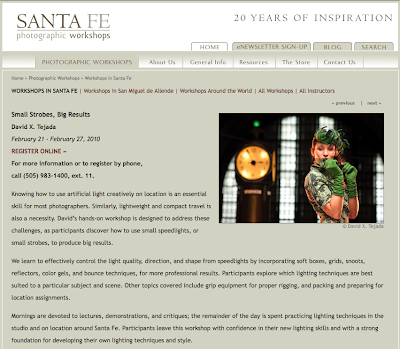 Santa Fe Workshops "Small Strobes, Big Results"
I'm excited to be returning to The Santa Fe Workshops for another "Small Strobes, Big Results" workshop. The workshop is February 21-27, 2010. Last years workshop was sold out, and I understand 4 spots are already taken for this years workshop. 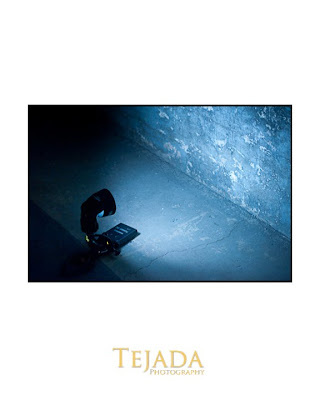 If your interested in getting a handle on using your small strobes, this workshop is for you. If you think your interested in attending, don't hesitate to long I'm sure it's going to sell out fast. If your a Nikon user, this workshop is for you! We have a few spaces left for the two day workshop in beautiful San Diego, CA December 1 & 2, 2009. 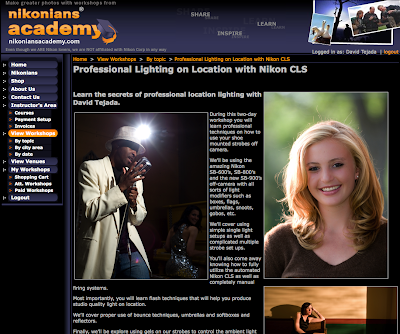 This workshop is all about using your Nikon CLS system to it's fullest. 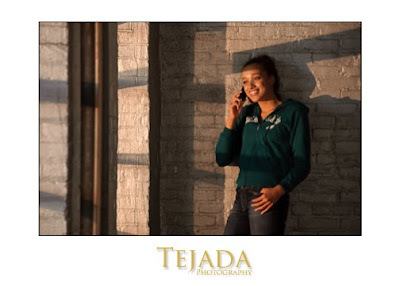 I'll be teaching you how to create studio quality lighting on location. For more information and booking a spot for this workshop, contact Nikonian's. What a busy week! 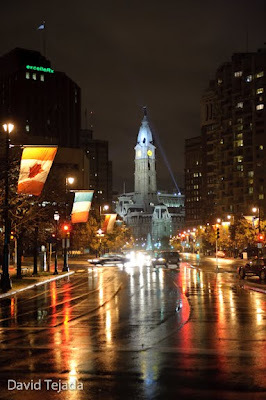 I've been in Philadelphia for a week now and I looking forward to getting home. I started the week teaching a Popular Photography/America PHOTO "Mentor Series Trek", and the last 2 days of the week teaching a Nikonian's lighting workshop. I must say, the Nikonian's workshops are a blast, we had a great group of people who left the workshop in full command of their flashes. During a two day workshop, you too can learn to master your flash! 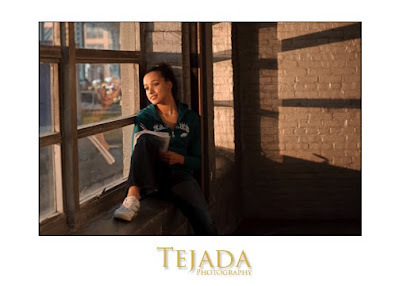 I want to send a special thanks our model for the day, Diamandi! Thanks so much for your time and efforts during the workshop, you were a true delight. The photo at the top of the post was the last image of the day. I used a small boom with a 43" shoot through umbrella with one SB-800. The background light was created using another SB-800 on a Justin Clamp and aimed at the back wall. You might think that I had a blue gel on this strobe in order to get the blue light on the background. Keep reading. This photograph was taken way down in the basement of a fantastic studio in Philadelphia. I rented the Power Plant Productions Studios for the workshop, and if you ever need a studio in this past of the country give Jim Graham a call. Rather then carrying all my gear down to the basement, we hand carried what we thought needed for the few shots we were doing. As I mentioned above, the main light was a 43" inch umbrella boomed over Diamandi. This flash had a full cut CTO gel placed over the flash head and my white balance was set to 3030* Kalvin (a bit lower than incandescent). With this combination, the light coming from the main light has a natural balanced look. In order to get the blue cast on the wall, the strobe behind Diamandi had no gel on the strobe and therefore, turned blue due to the White Balance setting on the camera. One of the things that we did not carry down to the basement was a grid or some other light shaping tool for the background. Out of pure desperation, I took the lens shade off of my 80-200 mm zoom lens, and placed it over the flash in order to shape the light on the back wall. You do what you need to do in order to make a shot. Diamandi brought candles with here and they made for a nice effect in the photo. One of the students in the workshop, Roberta, took out here iPhone and played some music to set the mood. 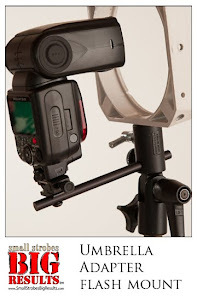 Here is a photo of the lens shade over the flash aimed at the back wall.